Are You Making These 3 Common SEO Mistakes When Blogging? 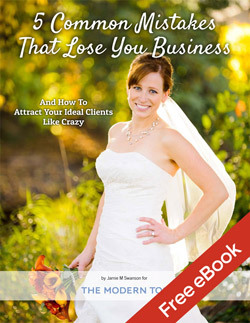 The number one struggle that photographers have when starting their photography business is getting the word out about their business and finding more new clients. Blogging is one of the best ways to get new clients that haven’t heard of you before. If you can show up when people search for a photographer in a search engine like Google, then you’ll have a better chance of finding new clients. In fact, we get the majority of our new clients this way. Are you making these three common SEO mistakes? What Professional Photo Blog Theme is Best? Your photography blog is your most important marketing tool. With the flexibility that WordPress offers, it is by far the best option for creating both your site and blog that exists right now. 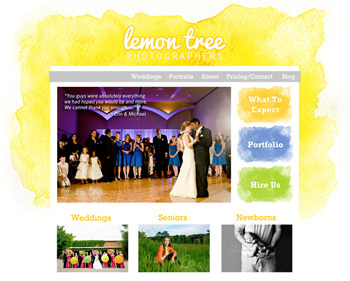 The hard part is choosing what professional photo blog theme you want to use to to create your site. I’ve used a number of the popular photo blogs out there over the past few years, so I thought I’d share a review of some of the main WordPress professional photo blog themes that you should consider. I started out using a free WordPress.com blog (really bad idea for SEO/marketing reasons) before moving to a self-hosted WordPress.org blog. Much better idea, and you can get started for as low as $4.95 a month. All the links in this post are affiliate links, but none of these companies have approached me about writing this. I will be brutally honest regardless because that’s what is most important and it’s how I roll. For the record, I have learned some CSS coding but have to google almost everything I need to do, but I’m definitely not one who could design a site from the ground up. I know enough to be dangerous, but I am not someone who wants to code at all if I can get away from it. I imagine this is similar to most photographers. There is much debate about what Search Engine Optimization (SEO) Plugin for WordPress is the best. Currently I use the WordPress SEO Plugin by Yoast. Aside from being a very talented WordPress developer, Joost de Valk (pronounced Yoast) has a good handle on the needs of WordPress users in addition to all the benefits that ship straight out of the box with WordPress. Showing up on the first page of search engine results can seem like an impossible task when starting a new website. These easy tips will help you on your way to getting more traffic and prospective clients to your blog by ranking higher in search engines. 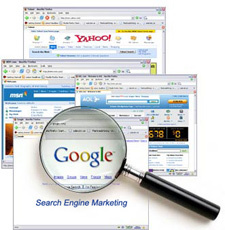 Search Engine Optimization, or SEO, is simply a name for the things you can do to help improve your chances of ranking well. While this generally take some time, there are three very easy things you can do within WordPress that help immensely right from the start. These alone will not get you to the coveted page 1, but they will give you the framework you need to get started.